Prof.dr. 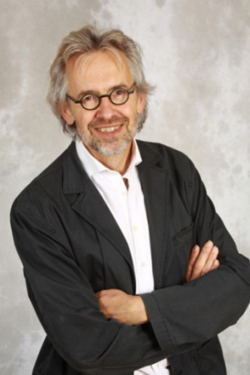 ir.Busscher is currently heading the department of Biomedical Engineering at the University Medical Center Groningen and leading the bioadhesion group together with Prof. dr. Henny van der Mei. His interests originate from physico-chemistry and he has applied this interest to study bacterial adhesion to biomaterials with the purpose of understanding and preventing biomaterial associated infections, which is a global threat and occurring very frequently with implants. So far he has supervised more than eighty PhD students and holds several patents concerning anti-microbial coatings. Biomedical Engineering, Physical Chemistry, Coatings, Microbiology. Our lab at the UMCG currently hosts seven PhD students, three postdocs and several MSc students with nationalities from all over the world (Germany, China, Columbia, Portugal, India, the Netherlands) with backgrounds ranging from microbiology, physical chemistry to cell biology and biomedical engineering. We tackle the medical problem of implant associated infections and study this topic both fundamentally and applied. There are strong collaborations with clinical partners from dentistry, orthodontics, ophthalmology and otorhinolaryngology and we host PhD students from these departments to translate our findings in a downward fashion to the clinical environment.